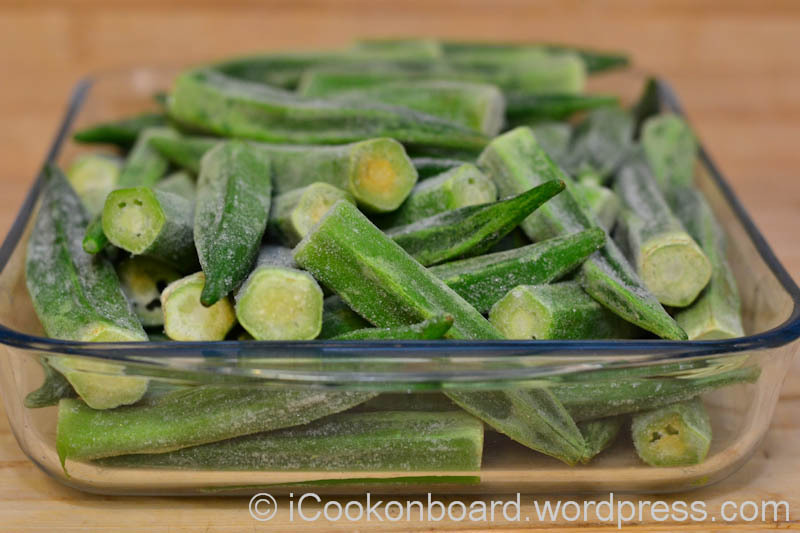 Okra is known as bhindi, bamia, or gumbo and in many English-speaking countries as lady’s fingers. 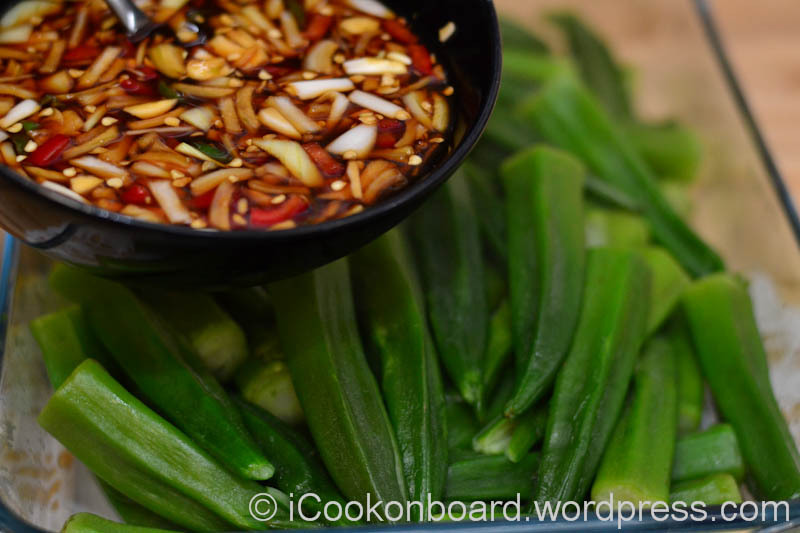 Boiled Okra with Garlic Soya Dip. 1 kilo fresh/frozen whole okra, rinse and cut the stem end if you’re using fresh okra. No need to thaw frozen okra, boil directly. 1 tsp. baking soda/sodium bicarbonate, it will help the okra to keep its bright green color when cooked. 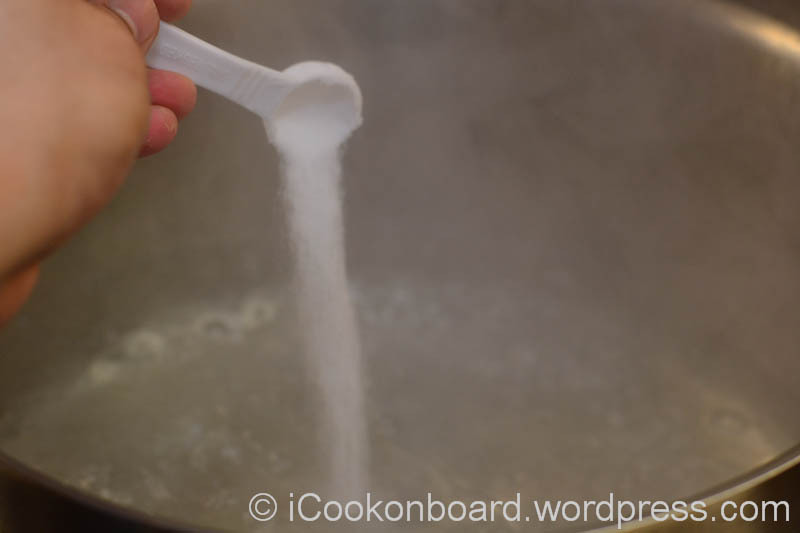 In a large cooking pot, bring the water to a rolling boil on very high heat and add the salt and baking soda. 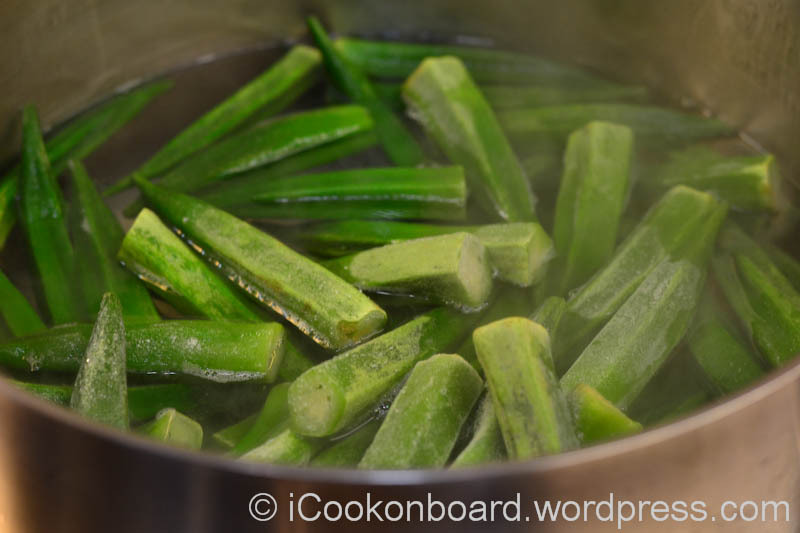 Drop the okra into the boiling water. 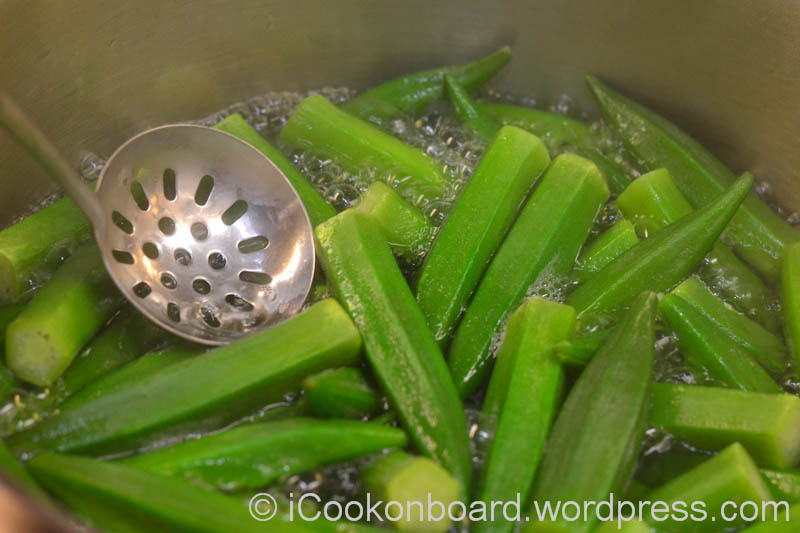 Use a laddle to dip all the okra to cook evenly. Cook for a minute or take it out from heat when the water comes to a boil again. 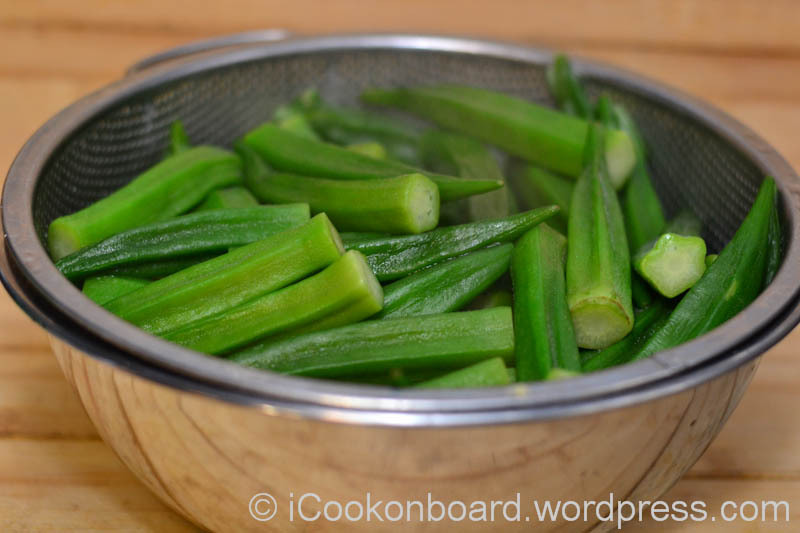 The okra will turn into bright green when ready, be careful not to overcooked it. 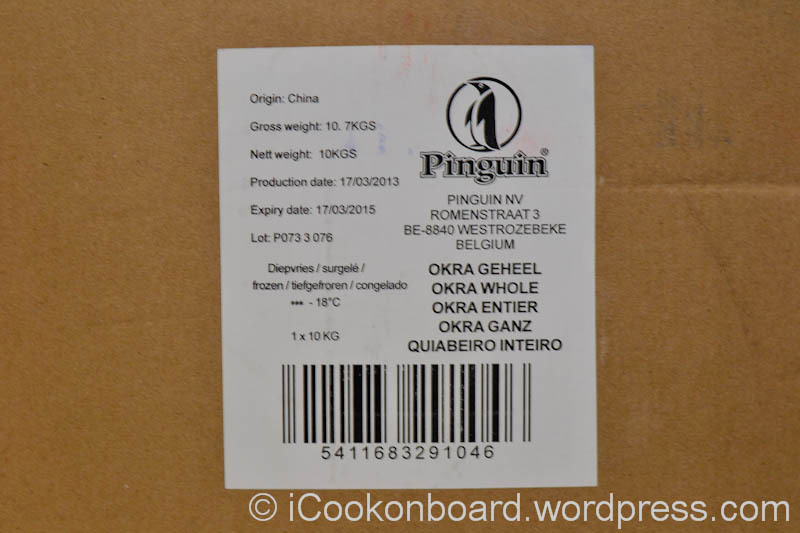 Due to inavailability of fresh okra in most of the european country that my vessel is trading, I need to settle with frozen okra most of the time. for it’s the only thing we got!!! 1 kilo fresh/frozen whole okra, rinse and cut the stem end if you’re using fresh okra. 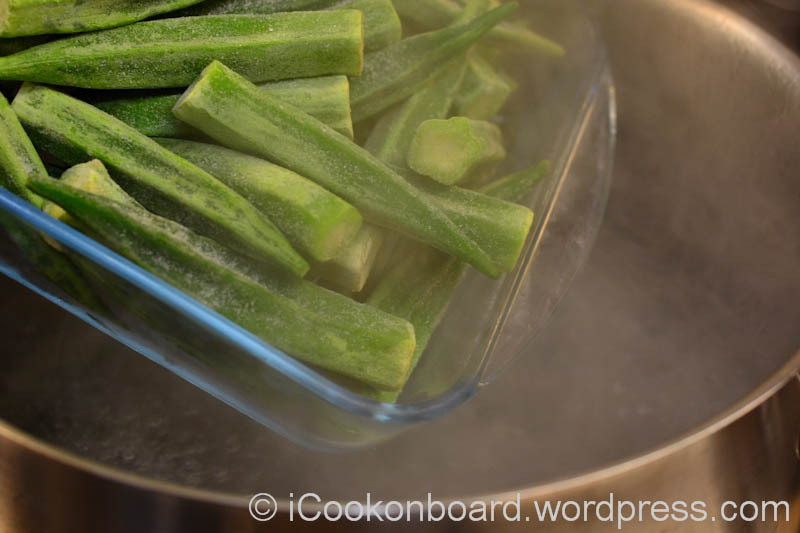 No need to thaw frozen okra, boil directly. 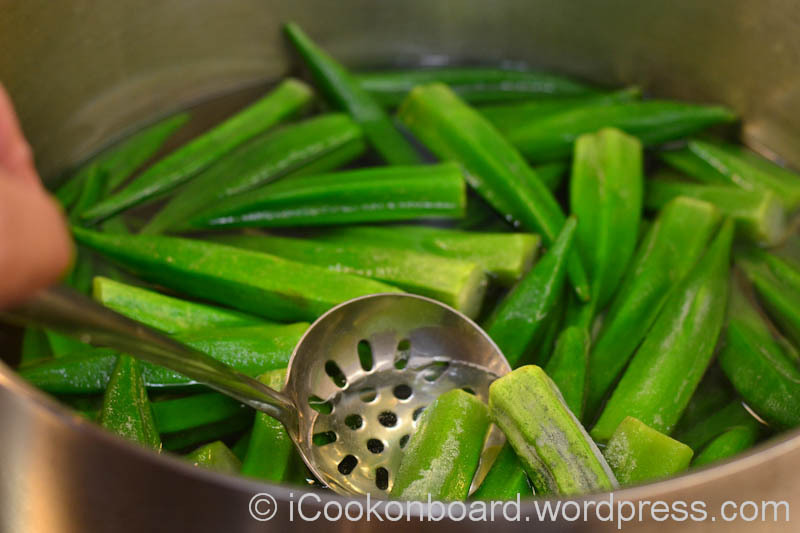 Drop the okra into the boiling water. 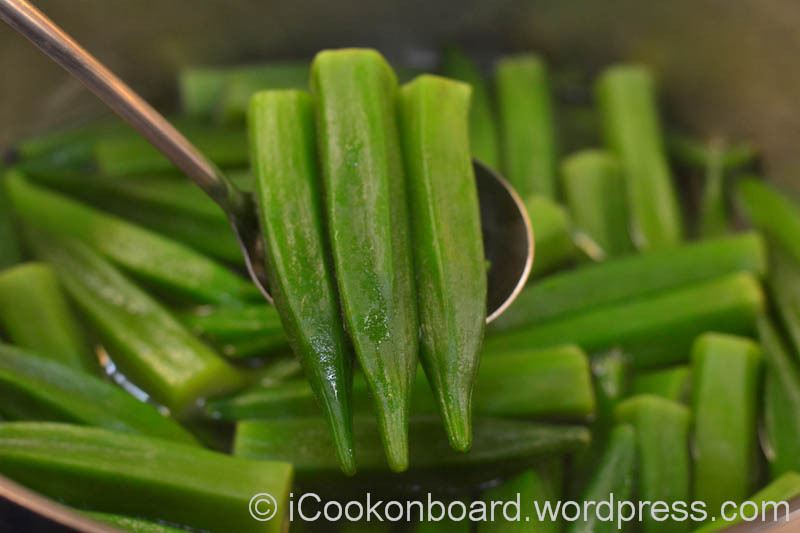 Use a laddle to dip all the okra to cook evenly. Transfer on a serving dish and serve with Garlic Soya Dip. 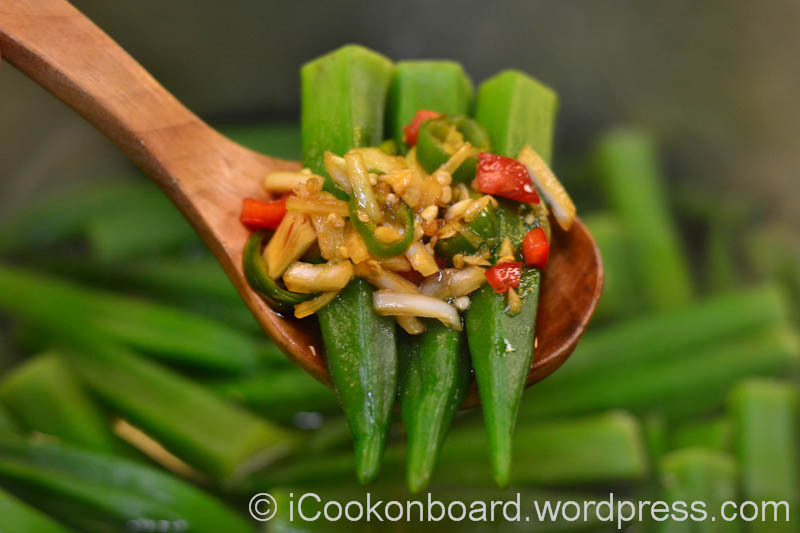 encourage you to try cooking some Boiled Okra. Next Philippines Appeal for HELP.